What goes around always seems to come back around. This design is one of those things. 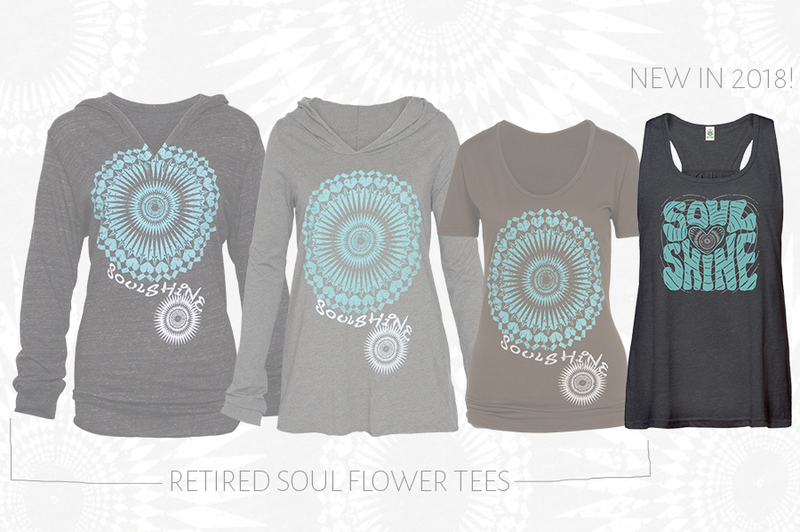 Our new Soul Shine design was inspired by one of our oldest (now retired) designs. This tank is made from 50% organic cotton, 50% recycled plastic water bottles, and dyed with low-impact dyes. 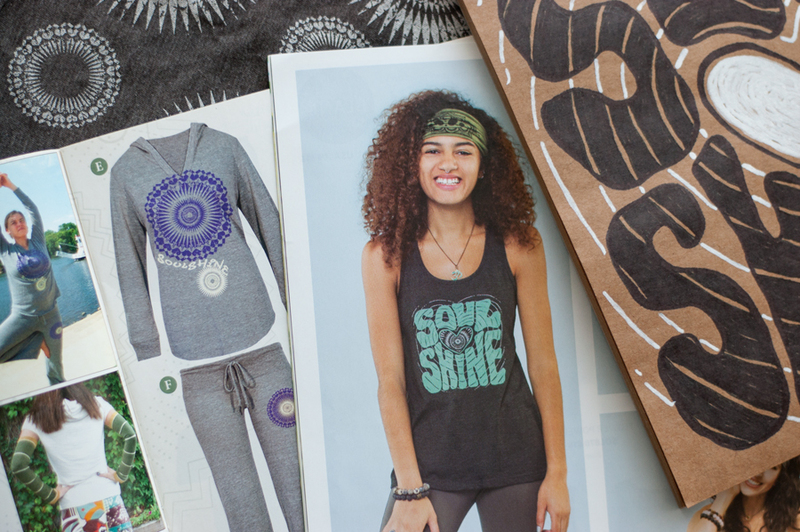 Made in the USA and hand screen printed in Minnesota with low-waste phthalate-free inks. Love the pop of turquoise on black! 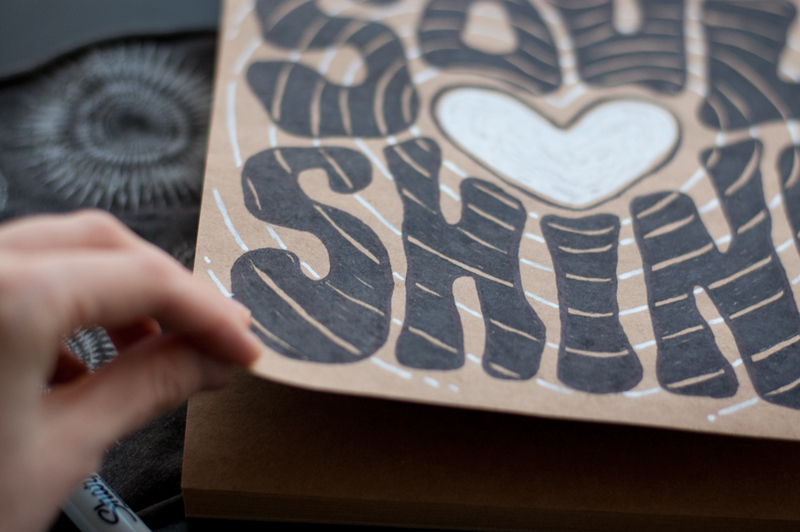 I drew the design on brown kraft paper. By working on a medium-toned background, I was able to put down both dark (black) and light (white) lines. This makes it easier to separate later when I get it on the computer. 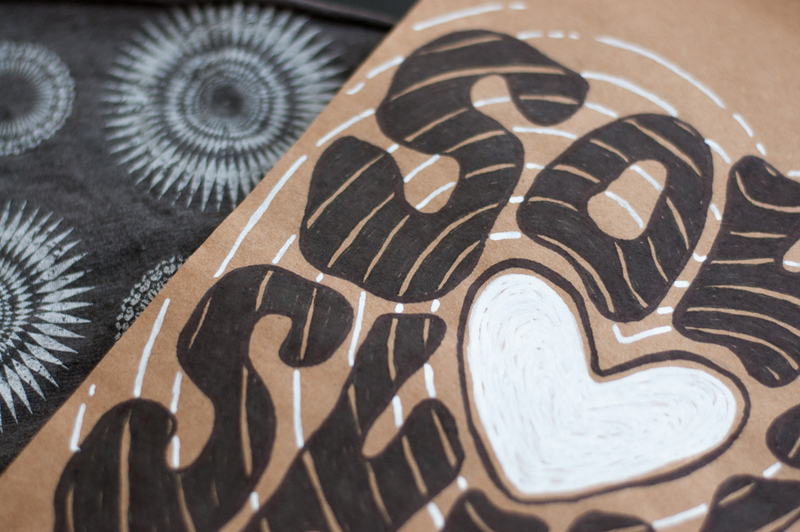 Lately I’ve been seriously loving retro, psychedelic, liquid-looking letters. They fit in any space and their hand-drawn-ness just oozes. 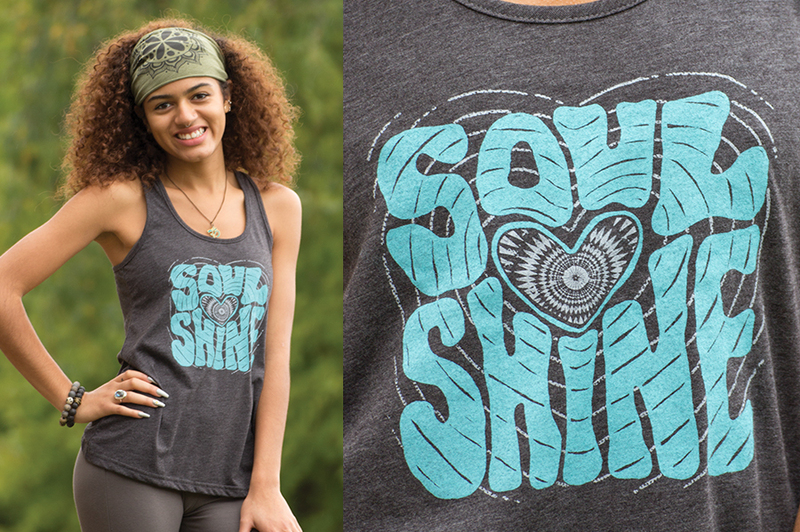 In the center heart of this new Soul Shine design, I put one of the mandalas from the original. 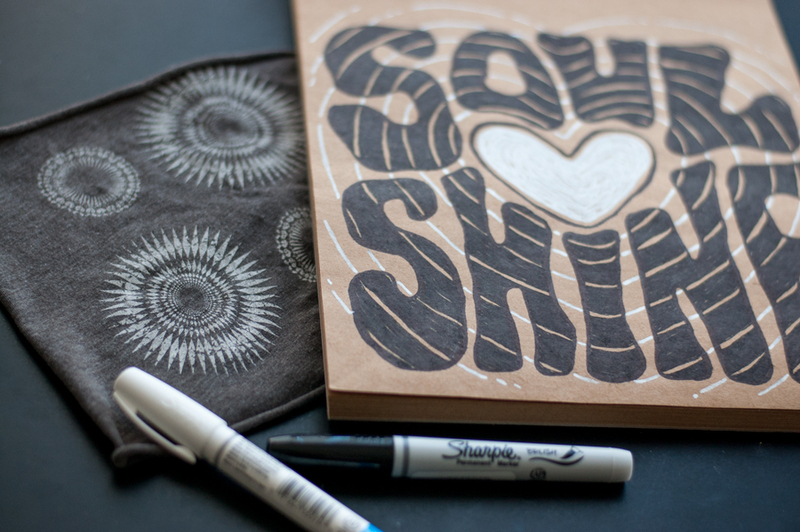 We chose turquoise and white inks as a nod to the old styles, although the original-original Soulshine was actually purple! 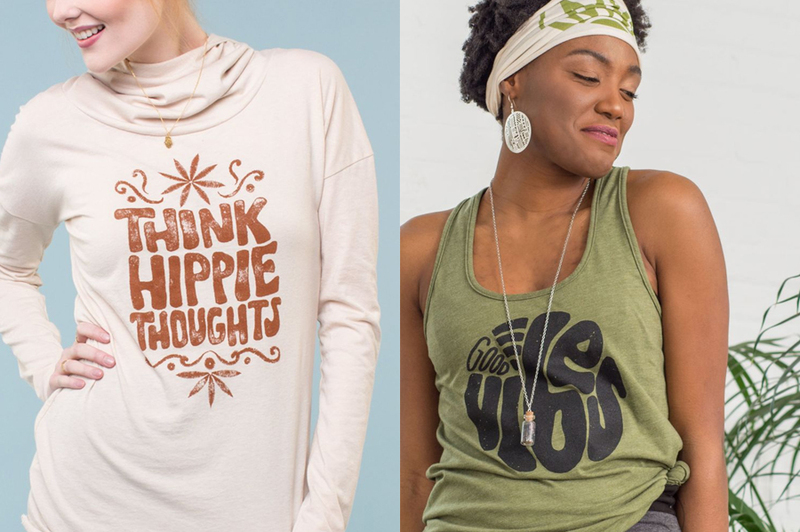 If you do pick up this tank, wear it as a reminder to let your light shine. Remember that everything you need is already inside you; you carry your own sunshine!